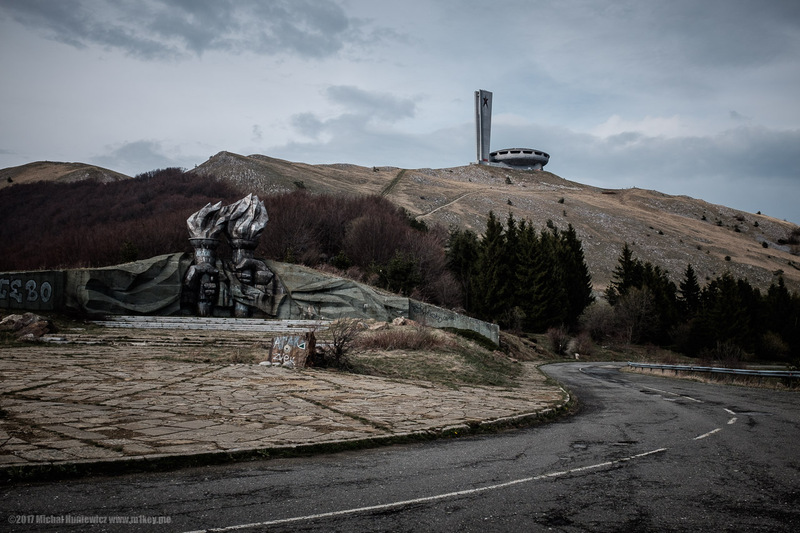 This is part two of my photo gallery from Bulgaria. Have you seen part 1? Sources: 1,	2,	3,	4,	5,	6,	7. ISO 100, 4mm, f/2.8, 1/470s. "You there! We're looking for the spaceship!" Woops! Turns out, that's not what the local people call it. 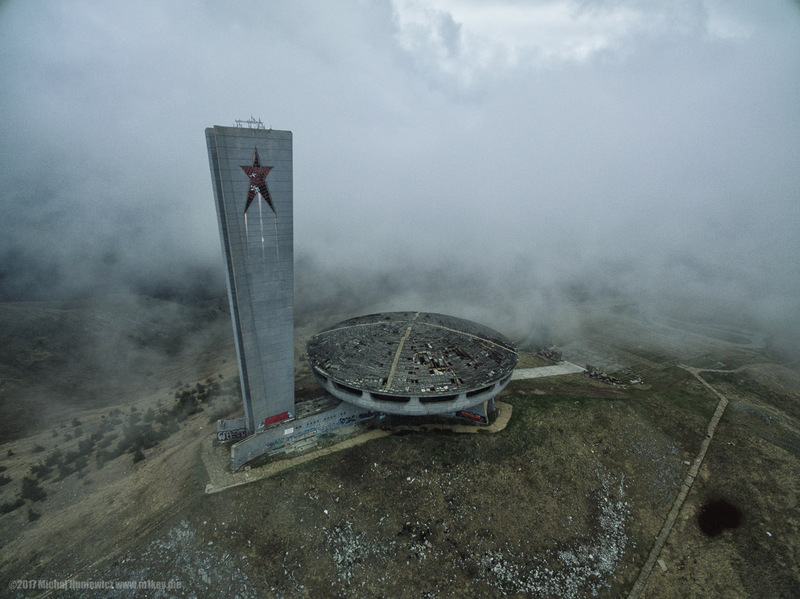 This is the House-Monument of the Bulgarian Communist Party also known as the Buzludzha Monument. ISO 200, 23mm, f/7.1, 1/400s. ISO 170, 4mm, f/2.8, 1/50s. The building is rather imposing. ISO 200, 23mm, f/7.1, 1/250s. The building is closed off since it's falling apart, including the roof. 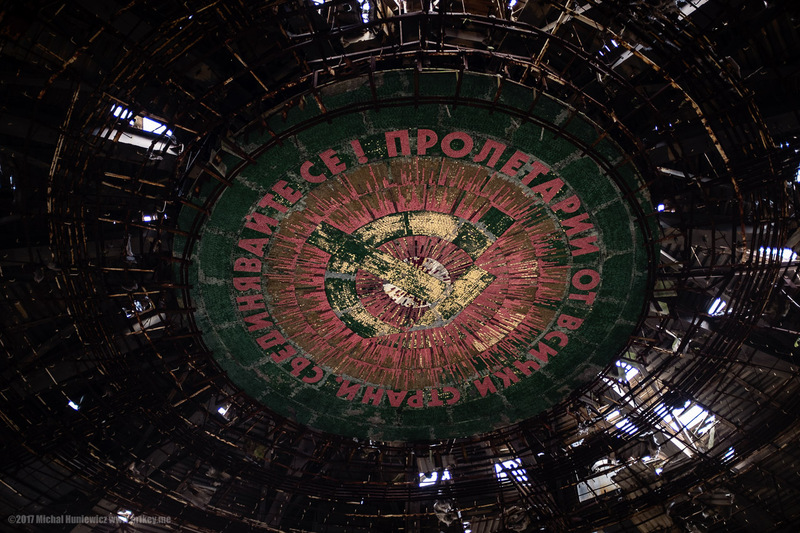 It's in a worse state than many of the Chernobyl buildings I saw (you were not allowed to enter either). However, there's a secret pass to go in! I was able to enter, as there were two other guys going in (with two panicky girlfriends who stayed behind, ha ha), they had a rope and everything. ISO 200, 23mm, f/2.0, 1/150s. ISO 101, 4mm, f/2.8, 1/25s. And then we left. 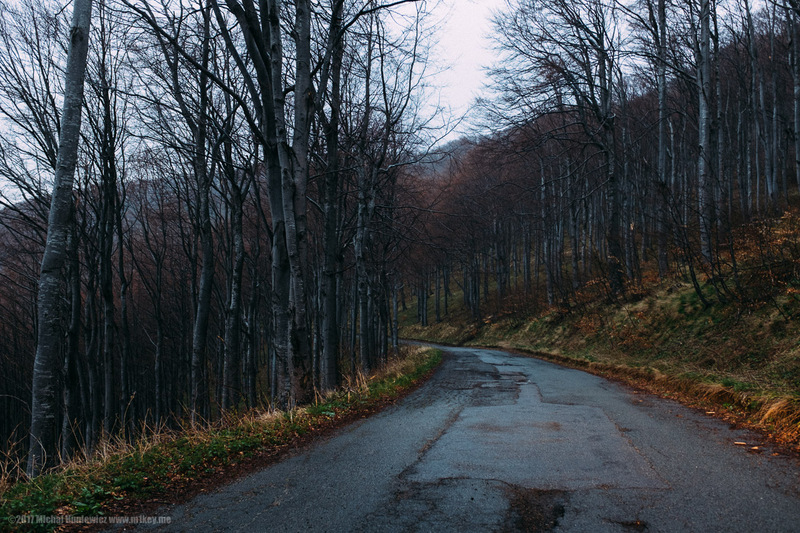 A truly scenic mountain road was to take us to Veliko Tarnovo. ISO 800, 23mm, f/3.2, 1/20s. 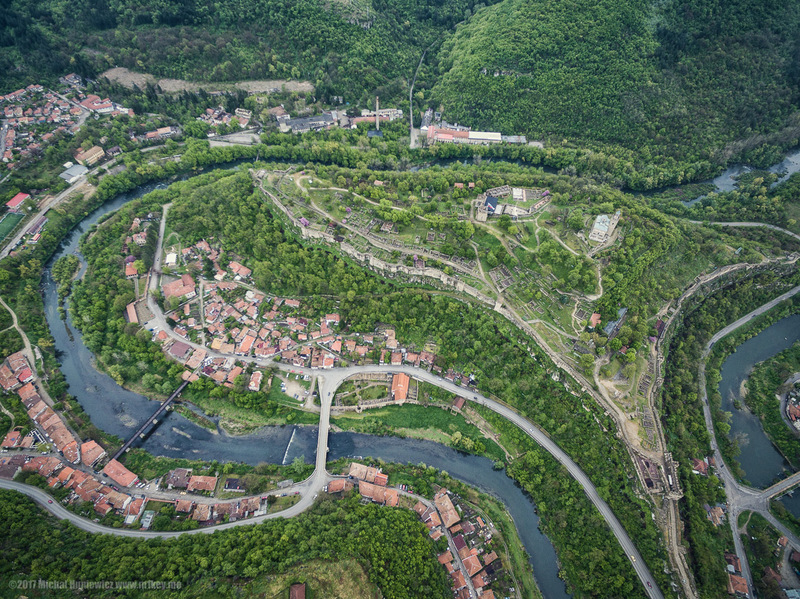 Veliko Tarnovo is squeezed into the meandering river Yantra. The geography of this place has necessitated its architecture - the picturesque "house on house" style. I was given a warm welcome by the city's deputy mayor, had a conversation with a local historian, and offered a guide to show me around. ISO 200, 23mm, f/8.0, 1/70s. 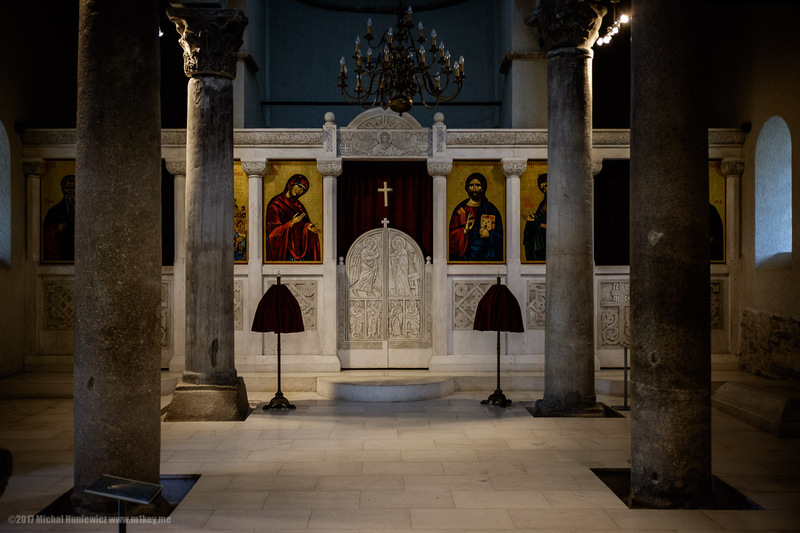 The Holy Forty Martyrs Church church is worth a visit - I wasn't at all familiar with the story of the martyrs apparently shared by the Catholics and Orthodox Christians. 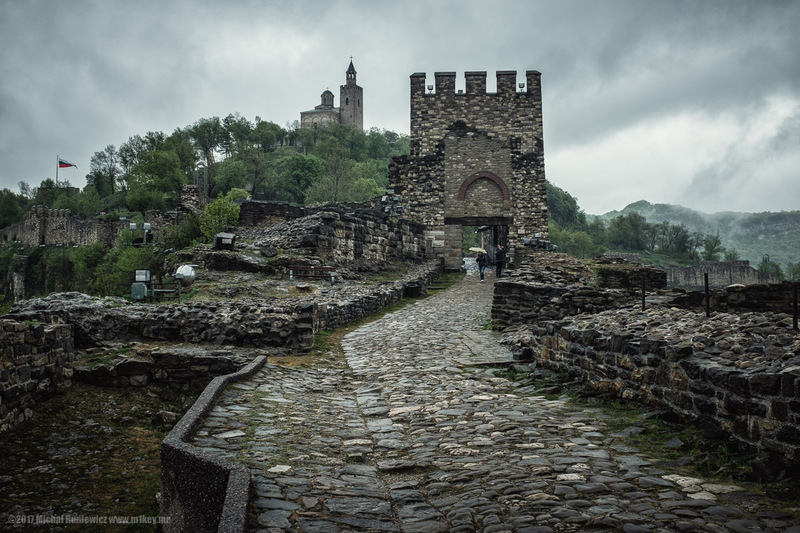 Veliko Tarnovo was the capital of the Second Bulgarian Empire, and so there are many significant historical records stored in this church: Omurtag's Column, Asen's Column and the Border Column from Rodosto from the rule of Khan Krum. 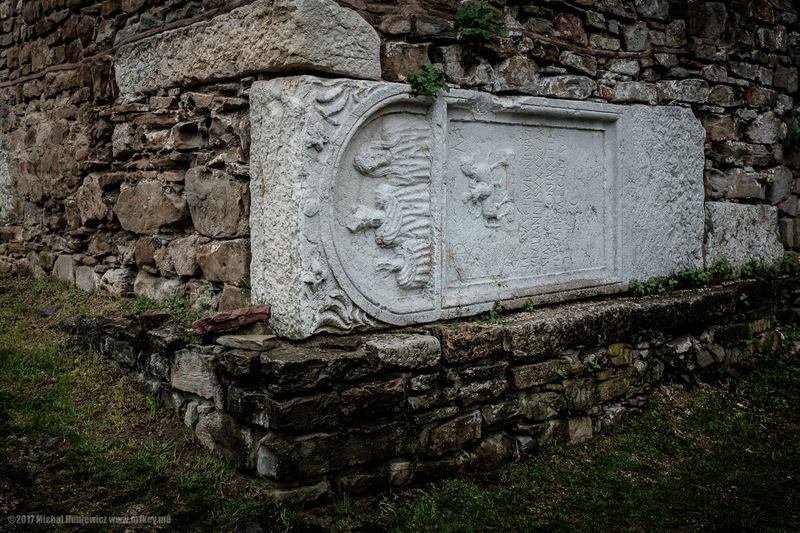 Some of its decoration was destroyed, however, when it was converted into a mosque. It's interesting to note Bulgarian leaders have been called Khans as well as Tsars. ISO 800, 23mm, f/2.2, 1/50s. This area has been inhabited for thousands of years, as it offers natural defensive formations and fresh water. ISO 107, 4mm, f/2.8, 1/50s. 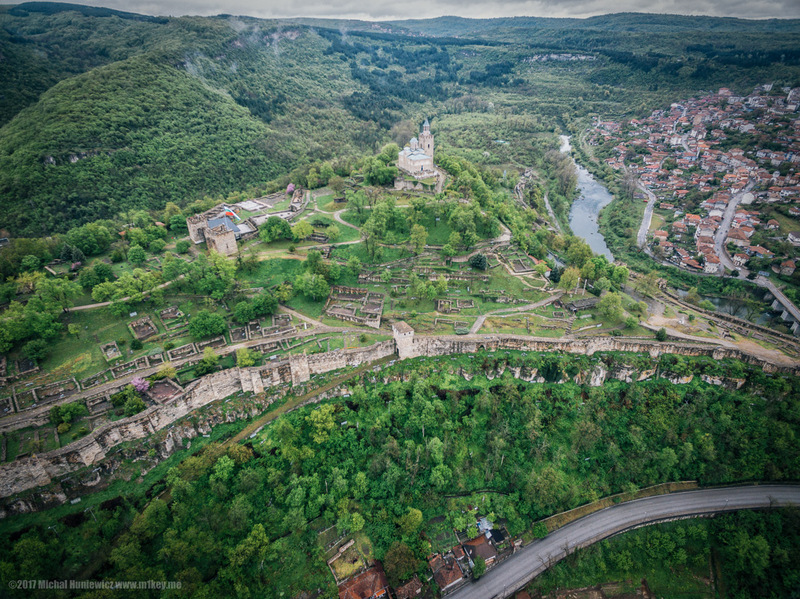 During the Middle Ages, Veliko Tarnovo was a trading hub, and was referred to as second only to Constantinople. Goods from Persia, Poland, Italian states, and others would come through here. ISO 250, 23mm, f/8.0, 1/60s. The weather was a bit shite, in all honesty, when I visited. 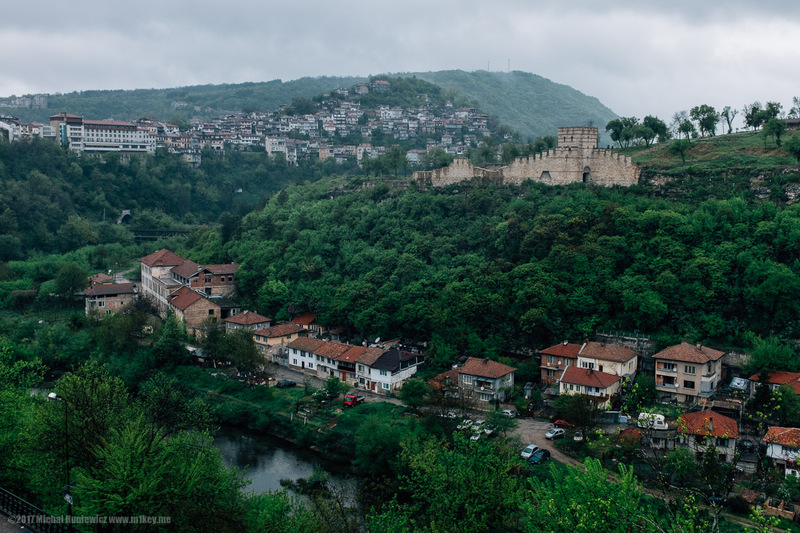 Historically, the luck of Veliko Tarnovo ran out when they were taken over by the Ottoman Empire. 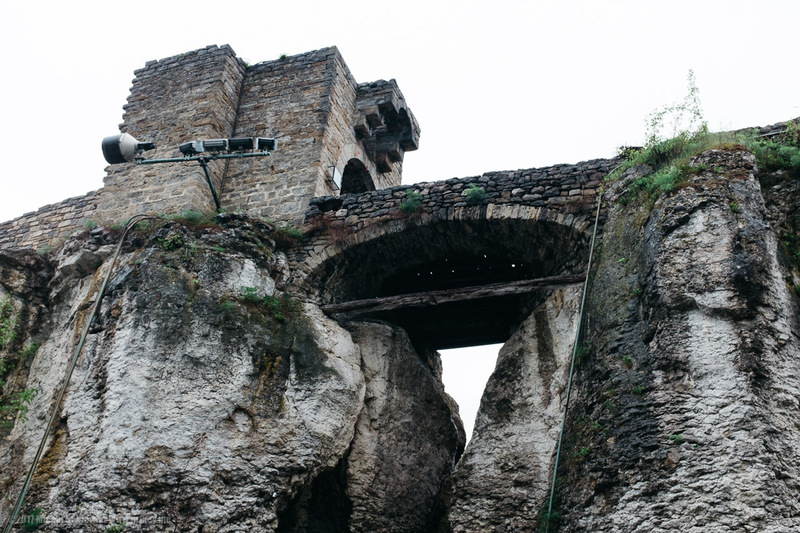 To build the Tsarevets fortress local materials were used - including salvaged bits of the Roman settlements nearby, perhaps from Nicopolis ad Istrum (you can still explore it). ISO 320, 23mm, f/8.0, 1/60s. Dominating the fortress is not a secular building where the kings might have lived, but a cathedral. ISO 200, 23mm, f/8.0, 1/100s. The Ottomans didn't convert it into a mosque for some reason, but they did destroy it. 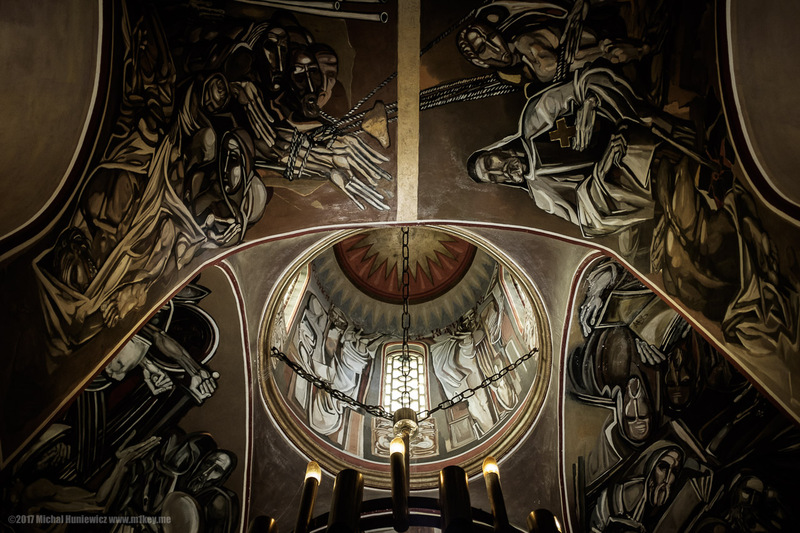 Now, however, it's been rebuilt, and there are some seriously gruesome frescoes on the walls. The Ottomans built a mosque here, much lower, but still within the fortress walls. It has not been restored. ISO 200, 23mm, f/3.2, 1/400s. If you're a history buff, this place has a special treat for you - it played an interesting role in the events related to the Fourth Crusade... I shall leave this to the reader. ISO 194, 4mm, f/2.8, 1/100s. 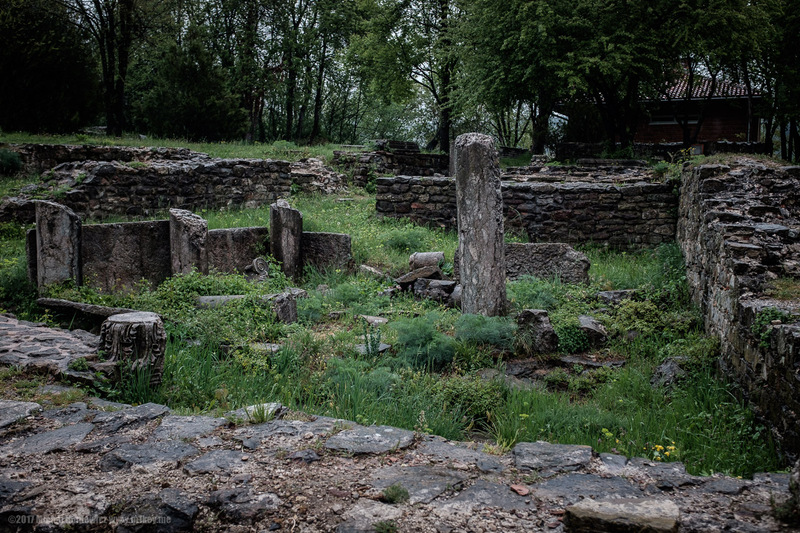 The Monument of Asenevci was built in 1985 to commemorate the uprising of the brothers Asen and Peter and the proclamation of Tarnovo as the capital of the Second Bulgarian Kingdom that took place 800 years earlier. The Second Bulgarian Kingdom lasted until 1396 when, as we now know, the Ottomans came. It wasn't easy to fly that day. We literally had a 10-minute long window when it wasn't raining. 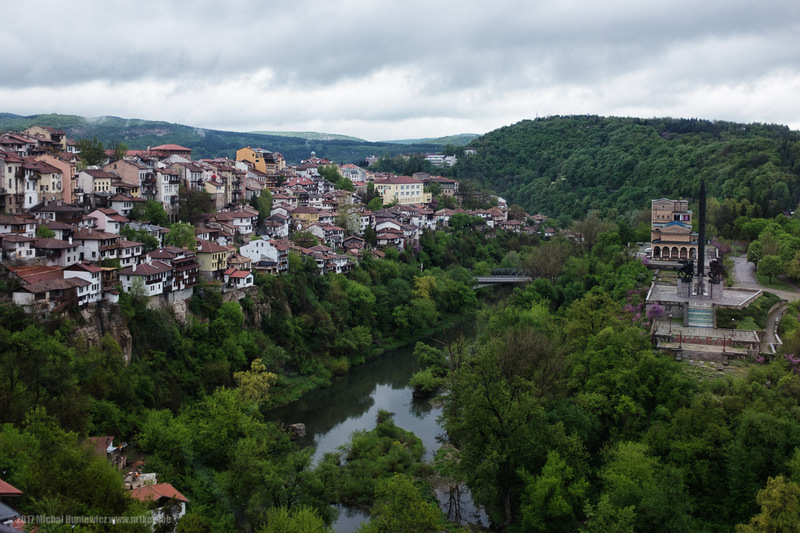 The interesting thing about Veliko Tarnovo is that the city has embraced modernity and opportunities brought by the European Union, and has been steadily growing. The same can be observed in Poland, where some cities and have benefited from the integration (but not others). ISO 100, 4mm, f/2.8, 1/125s. 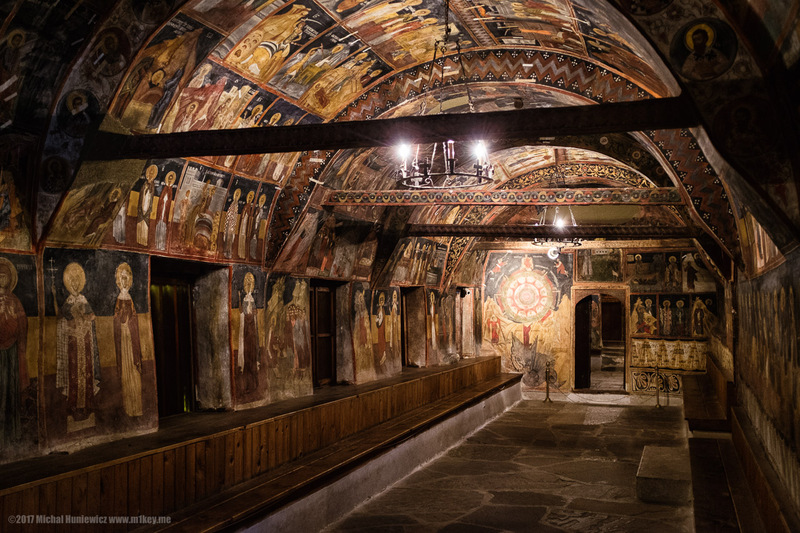 Church of the Nativity of Christ in Arbanasi, just outside of Veliko Tarnovo, is a another gem. 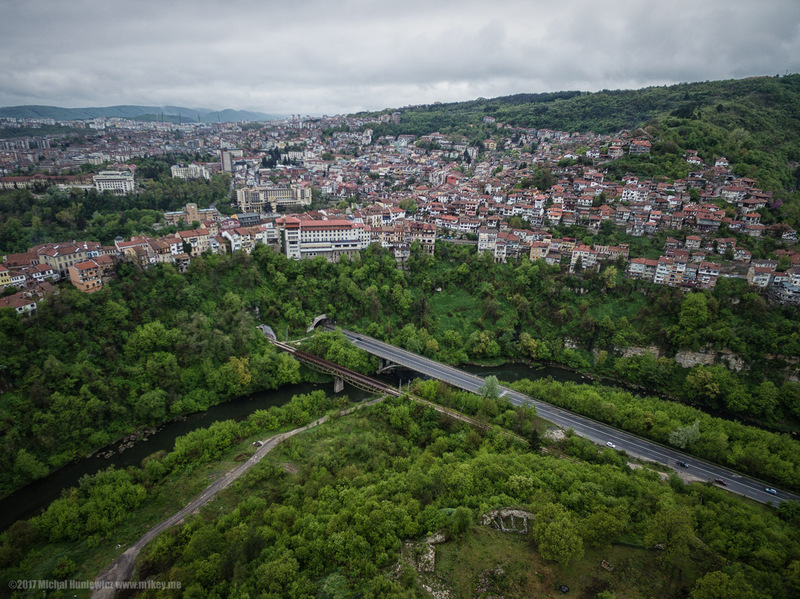 I was lucky enough to be given permission to photograph it - big thanks to Mrs. Daneva-Ivanova, the Deputy Mayor of Veliko Tarnovo. I pissed off a Spanish tourist group who were not allowed to take pictures! ISO 2500, 23mm, f/2.0, 1/60s. And thanks to my guide who knew everything about this place. 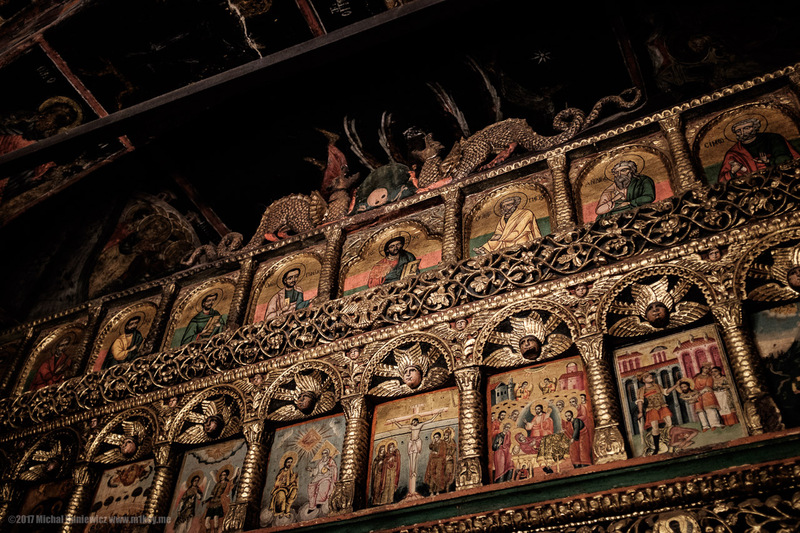 As usual, I was after the unusual - here, two dragons defending the sanctuary on the other side of the iconostasis. Dragons are usually portrayed in a negative way in Christianity, but not here. 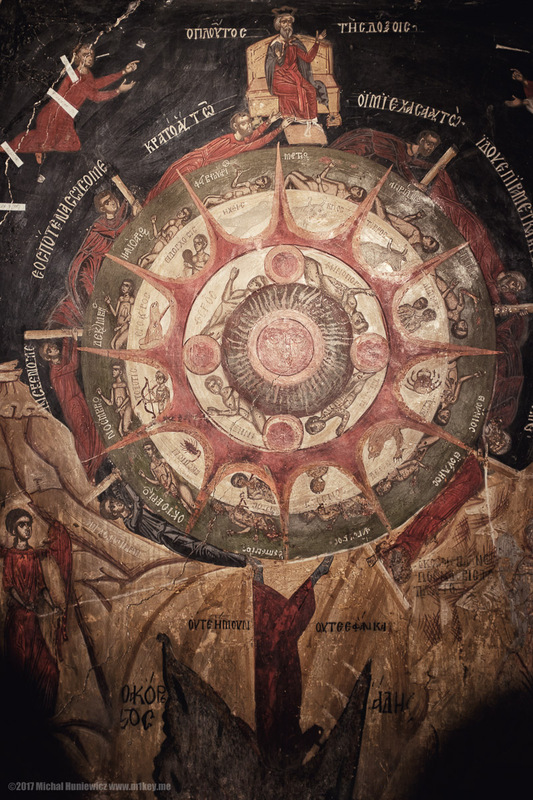 And this is a Wheel of Fortune, or Rota Fortunae - symbolising the capricious nature of Fate. Apparently, the concept itself was first invented in Babylon. You will also notice Zodiac signs - we saw them earlier in the Chartres cathedral. Another interesting thing I found was these guys - they are in fact Greek philosophers represented here as Christian saints. 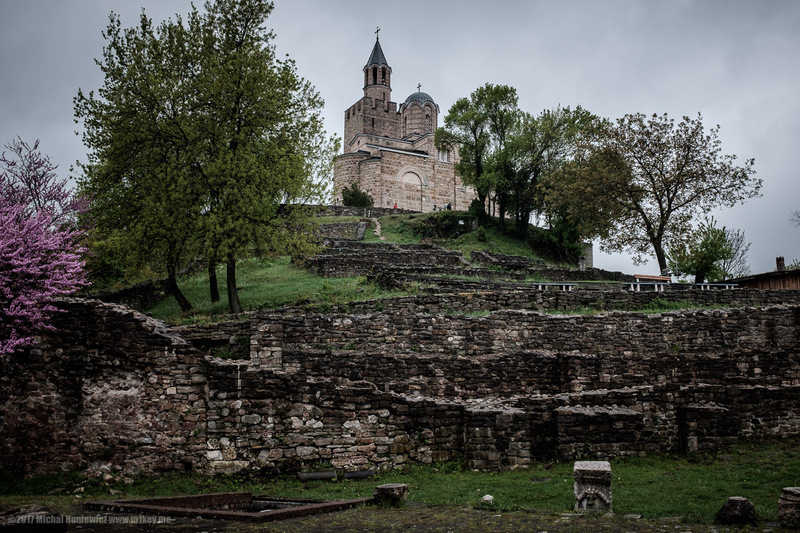 This church has survived in its modest, inconspicuous building to this day, to emerge from Ottoman occupation and into free Bulgaria. ISO 3200, 23mm, f/2.0, 1/40s. 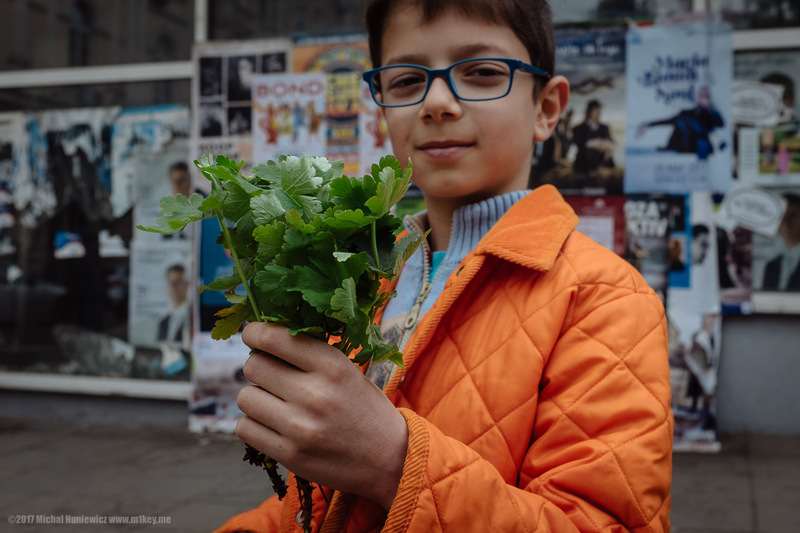 This is zdravets aka health plant. Its actual name is Geranium macrorrhizum, and in English apparently bigfoot geranium. Don't quote me on this, I know nothing about plants. 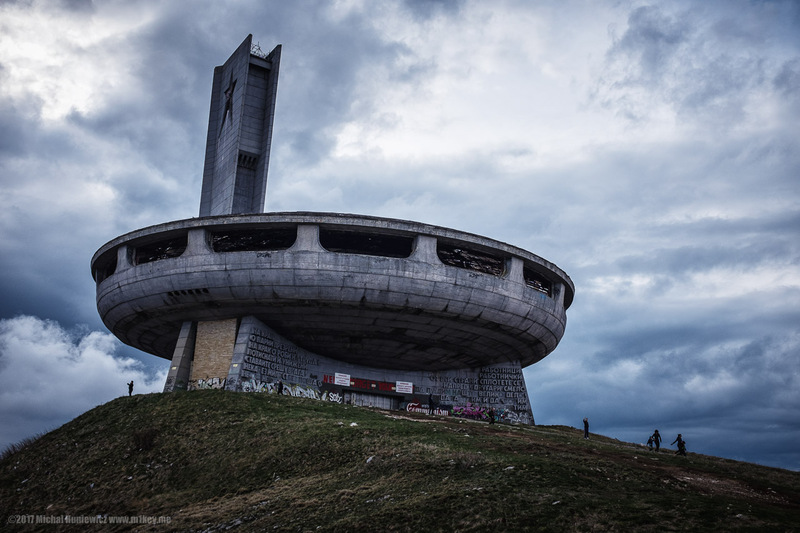 The Bulgarians take this to church on Easter. I strongly suspect this is a pagan tradition. I've never seen this tradition before, and the Bulgarian man I talked to about this, the kid's father, was genuinely surprised other countries didn't do it (at least Poland doesn't). Ha ha, poor pagans who have strayed from the path of true faith, I thought. Wink, wink. 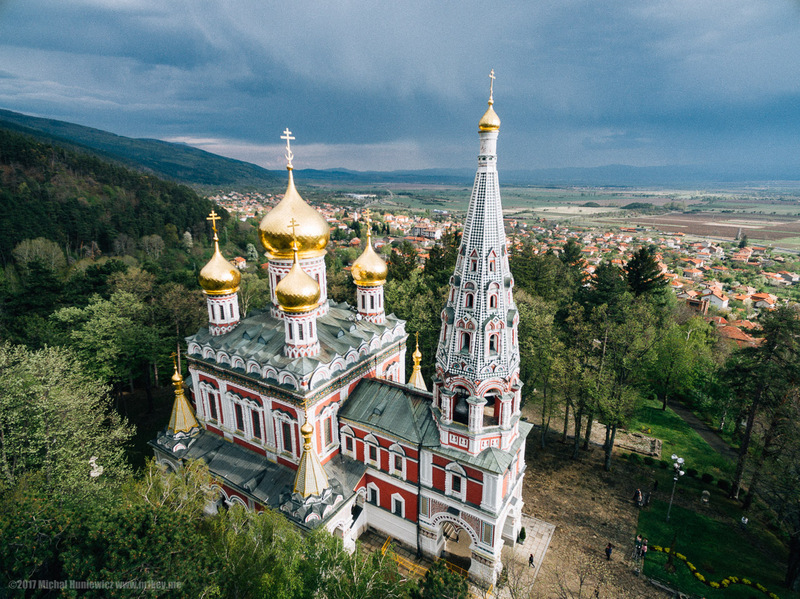 Another thing is, in Bulgaria for Easter they roast and eat lamb - kind of grim given Eater is about Jesus' death, and Jesus is the Lamb of God (in the Gospel of John)... Right? But then "Whoever eats my flesh and drinks my blood has eternal life, and I will raise them up at the last day." -- John 6:54. ISO 200, 23mm, f/5.6, 1/420s. 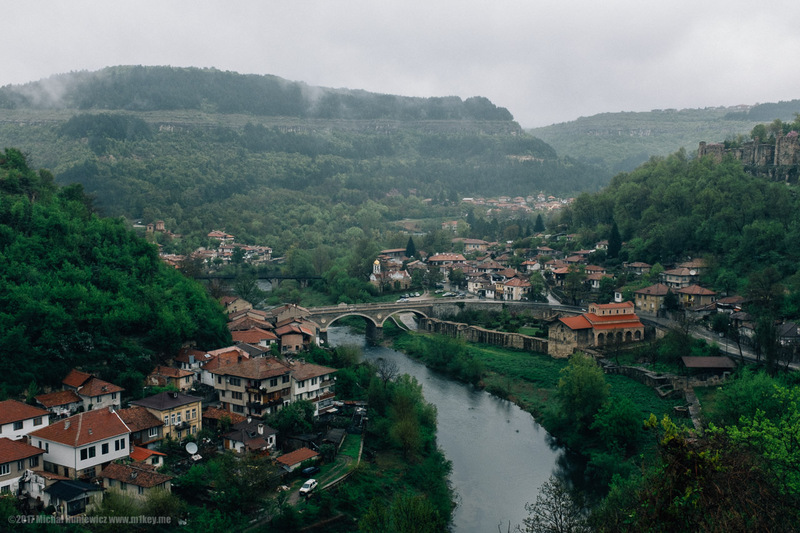 The time had come to say goodbye to Veliko Tarnovo and go back to Sofia. ISO 200, 23mm, f/8.0, 1/90s. I was fascinated by these - the legend has it that there's a police officer inside who can step out and direct the traffic if needed. They come in different shapes and sizes (these things, not the police officers). I love relics, man...! 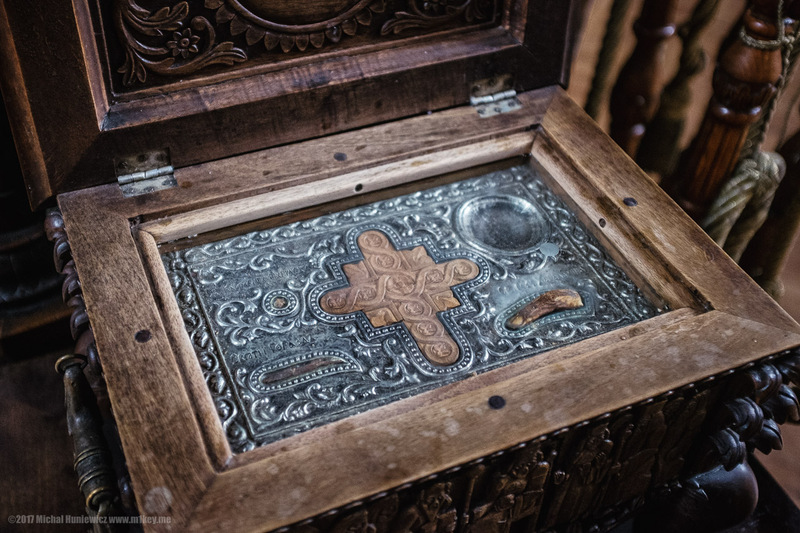 I can't even count all those blackened hands of John the Baptist I've seen, bits of the True Cross, and so on. You can buy loads on EBay, and I want them all. 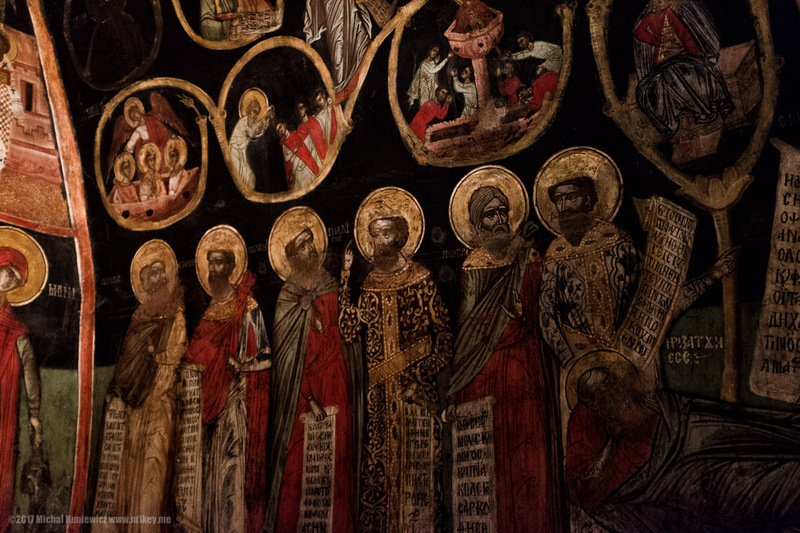 Here, the finger of St. Haralampi - a Bulgarian saint, who is celebrated by distributing sacred honey, which in turn is meant to have healing properties. ISO 3200, 23mm, f/2.0, 1/50s. 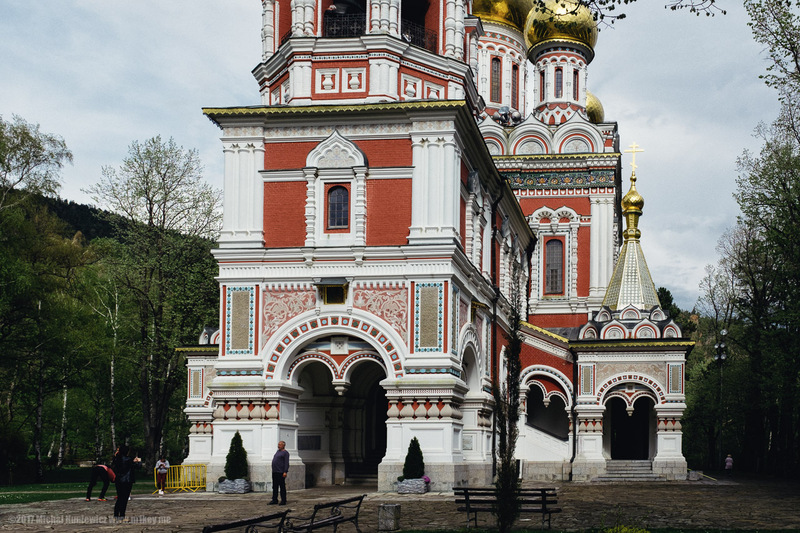 My friend, Konstantin, was kind enough to take me on an alternative tour of Sofia. 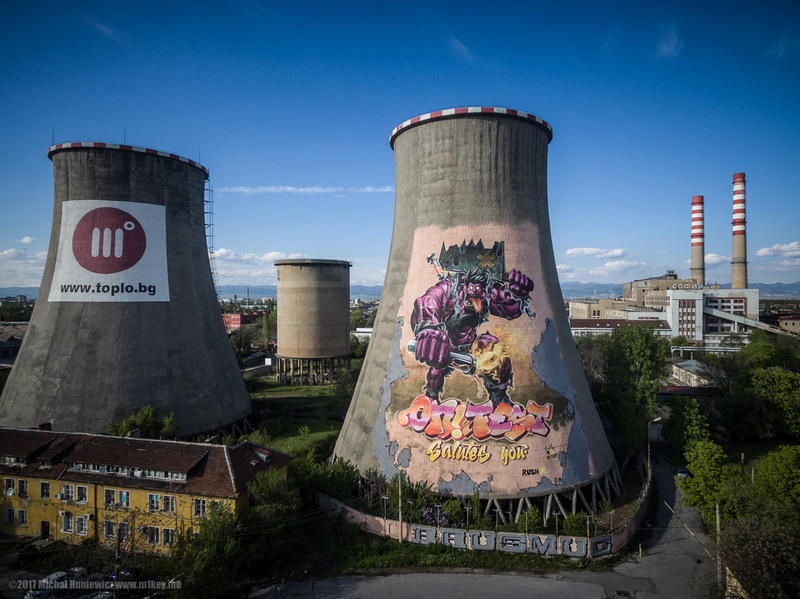 This is the biggest graffiti in the Balkans, allegedly. 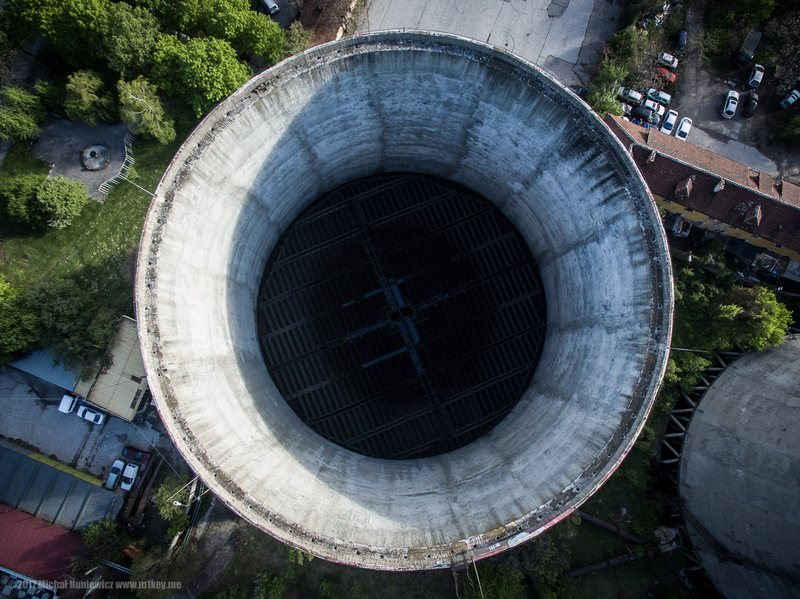 This is what the inside of a cooling tower looks like. 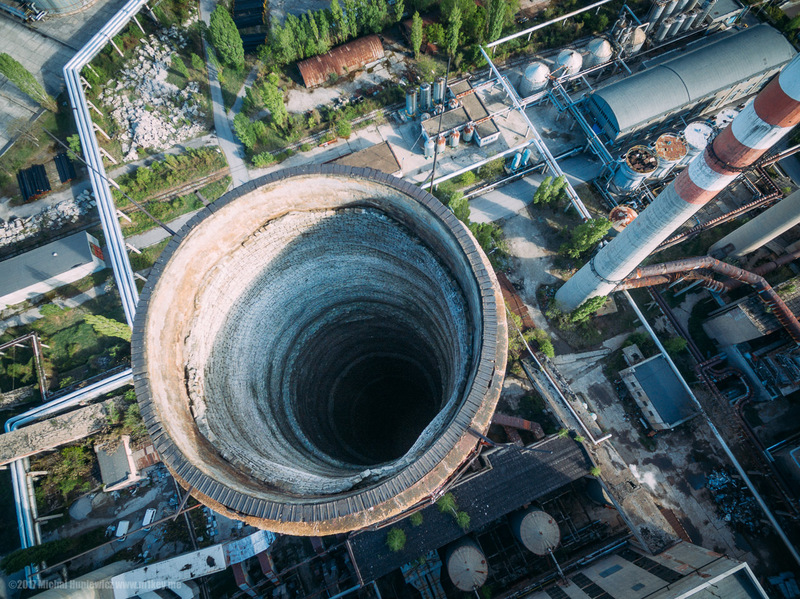 It's not a chimney, I was informed. ISO 100, 4mm, f/2.8, 1/170s. And I had a look inside this which was a chimney. I don't know why, but it was terrifying. ISO 100, 4mm, f/2.8, 1/190s. 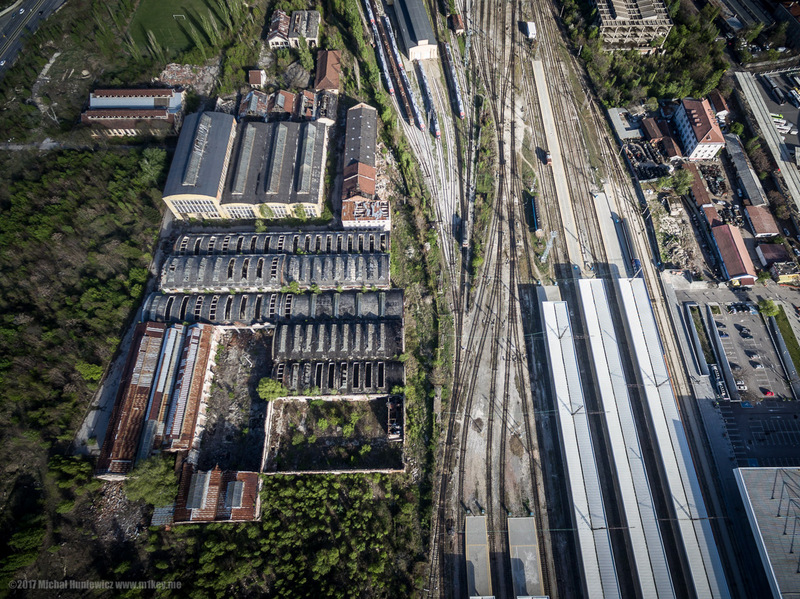 This is an abandoned train factory. 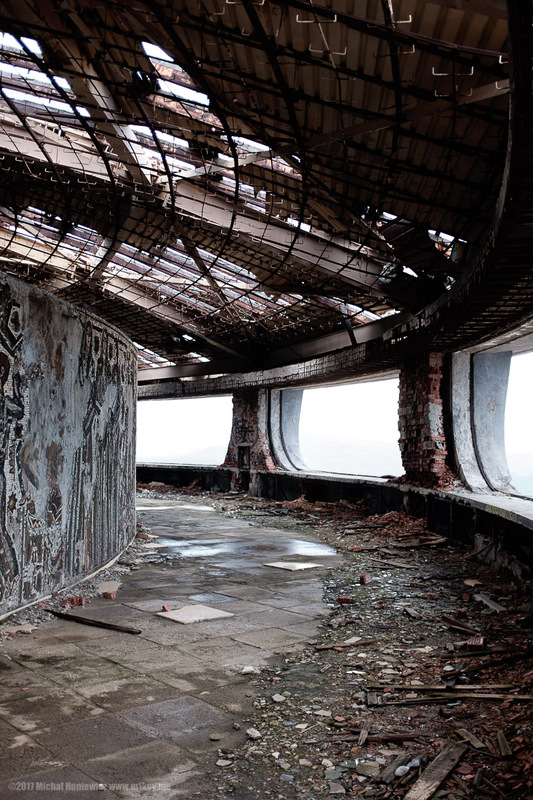 Quite photogenic inside, although the trains themselves are gone now. 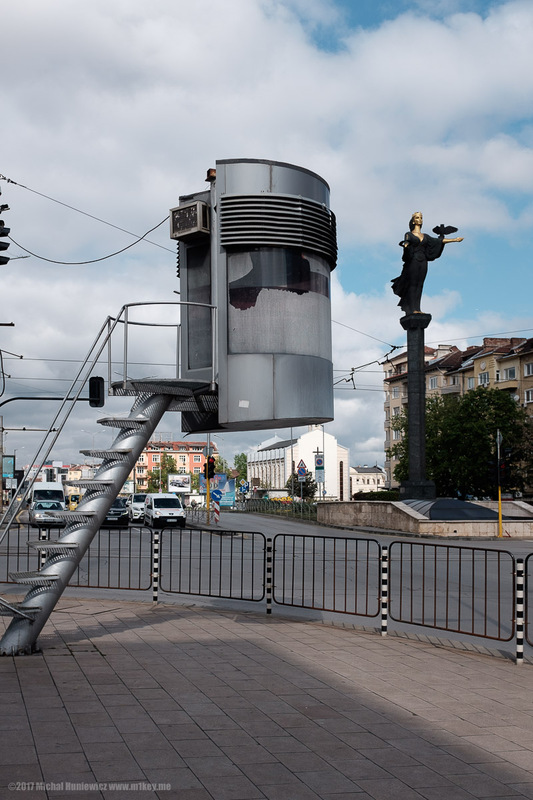 Oh man, we asked a woman working at a nearby bus station for some directions - the hag was so jaw-droppingly rude (Konstantin translated) I almost reached for my revolver. ISO 100, 4mm, f/2.8, 1/440s. 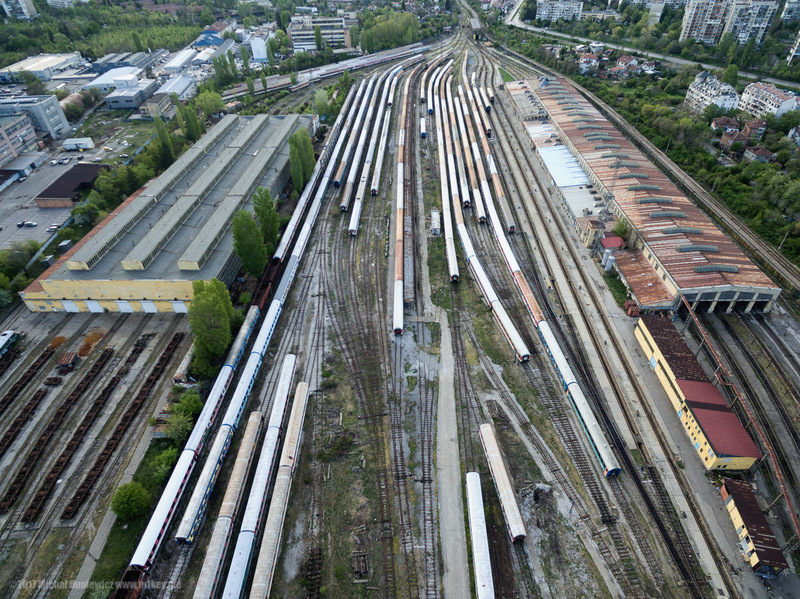 And a train depot. I landed my drone literally two metres away from a moving train, whew. 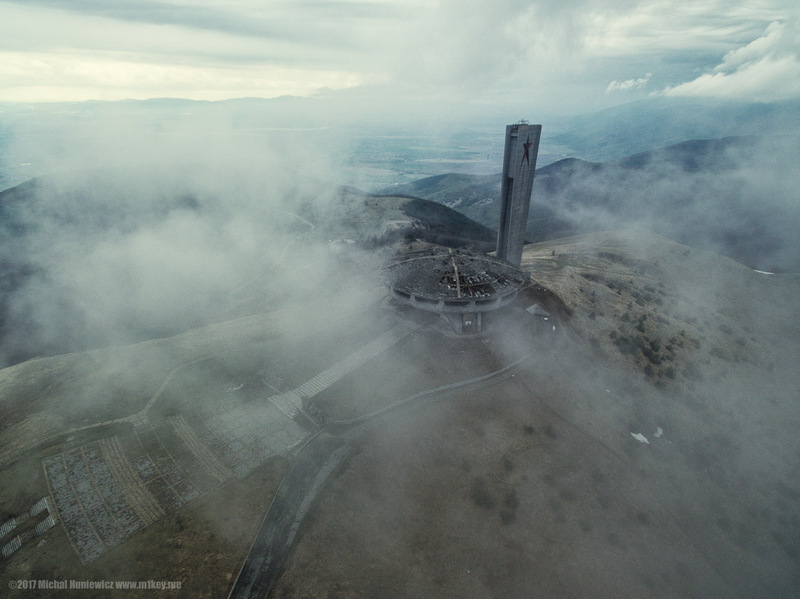 Again, no one cared about the drone, so refreshing - who would have thought Bulgaria would be the land of freedom, after all? Konstantin said it was in fact the land of indifference. Thanks for watching the gallery! 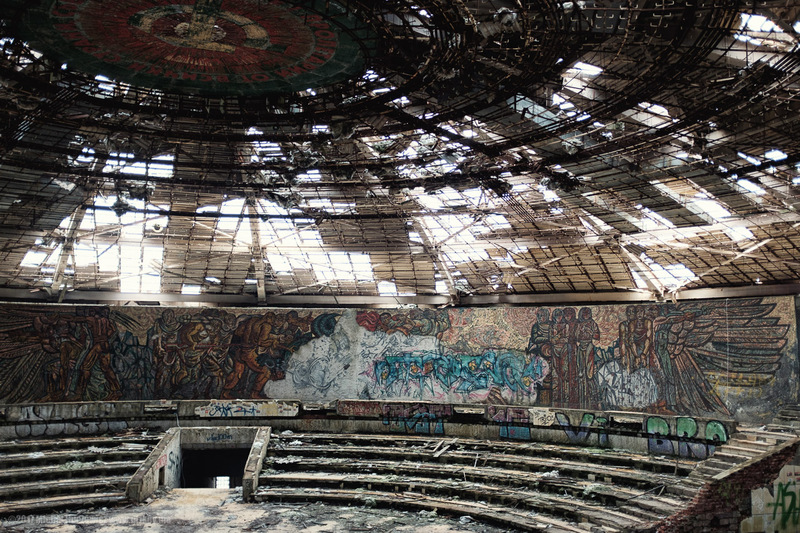 I was quite surprised by Bulgaria overall - by its cultural wealth and heritage. Another country made interesting by its turbulent and often tragic history, now coming to terms with its past and finding its new identity. Or so it seemed to me, anyway. 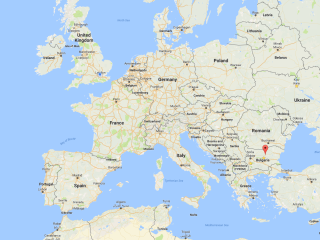 Although the Bulgarians complain and say there are two ways out of Bulgarian poverty - Terminal 1 and Terminal 2 (ha ha), it's well worth a visit.